Should I Work With Particular Advisers or Specialists During and After My Divorce? 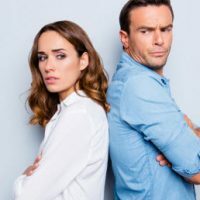 When one is going through divorce, it can often be difficult to focus on other issues, such as what other kinds of changes should be made in your life at the same time. However, whether or not you should switch financial advisers, for example, during and after your divorce is actually a very important consideration to make time for. As the divorce process goes on, the spouse who has perhaps been more financially dependent on the other spouse tends to become more independent, and during this process, the realization that everything needs to be separated often becomes reality. If and when this is the case, your divorce attorney is usually in the best position to make specific recommendations as to new financial and other advisers you can work with and who can best support your interests. Make sure that any necessary changes have been made to important accounts, such as life insurance and retirement accounts. A certified accountant can provide a number of services to someone who is going through divorce, including forensic accounting and even tax-related advice. This individual should also be involved in reviewing any and all marital/settlement agreements to make sure that they are in your interests in terms of how assets are being divided and any tax implications of those assets, as well as how tax deductions can be maximized, income calculations, the marital asset schedule, and income available for alimony and child support. Your divorce attorney can also assist you with making the necessary changes to your estate plan and/or connect you with an estate attorney who can assist with this. Not only should you have powers of attorney, a will, etc. in place, but when you get divorced, the details on these documents will often change. Perhaps more importantly, all of these attorneys and advisers need to be able to work together in order to promote your best interests. Your divorce attorney typically coordinates these individuals during the divorce, but many of them will assist you independently in moving forward after your divorce. The Arwani Law Firm offers comprehensive divorce assistance and representation, including representation in high-asset, complex divorce cases. Contact our Orlando divorce attorneys today to find out more.